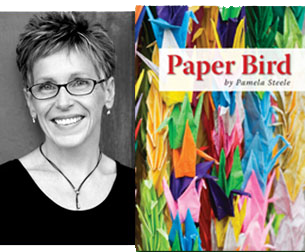 Pamela Steele's first full collection of poems. "Steele transforms the ordinary--cupping moments like the source of light in the palms of her hands. Here, she says, see beyond our time here. Paper Bird is a luminous collection of poems. Honest and spare, wistful and haunting. "Steele's poems are honest and visceral. They get under the skin and instruct us on how to squeeze our eyes tight and still see real beauty in the world. An important collection of love letters to everything that bleeds." --Frank X. Walker, author of Black Box and Buffalo Dance: The Journey of York. "Pamela Steele's poems are compassionate and descriptive, steeped with a quiet wisdom, opening doors to the profound insights and sensualities of the ordinary. Her poems are both lyrical and narrative, with an intelligent, introspective voice. They are infused with a seductive music, and with duende." --Michael Spring, author of blue crow and Mudsong. "The heart of Pam Steele's poems beats for all of us." PAMELA STEELE was born in her grandfather's house on the banks of Laurel Creek, in Fayette County, West Virginia. After several journeys back and forth across the continent, she's home on the Umatilla Reservation in Pendleton, Oregon. She is a graduate of Spalding University's MFA in Writing program and has been a recipient of a Fishtrap fellowship and Jim Wayne Miller Poetry Prize.